Movement Recording is a Nashville based production company dedicated to capturing the worship experience in an effective and moving way. 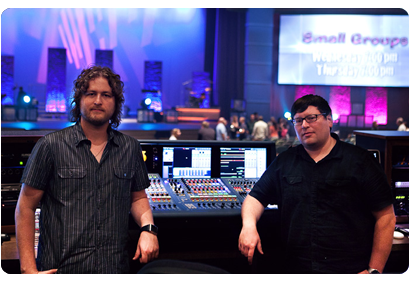 With over 20 years of combined experience in the music industry, Dove Award winning producer Brent Hendrich and Grammy nominated engineer Dylan Seals bring a studio approach to your live recording. EVERY RECORD AND WORSHIP EXPERIENCE IS DIFFERENT. We provide services ranging from a comprehensive recording of your worship event all the way to in depth pre-production services as well as bringing Nashville's most recorded musicians and finest instruments. We also provide high quality post production services that include audio editing, additional overdubs, mixing and sync to video. WE AREN'T YOUR TYPICAL MOBILE RECORDING COMPANY. Our approach is based on years of studio sessions. We not only bring the finest studio equipment to your worship event, we bring our experience in making major label records everyday. 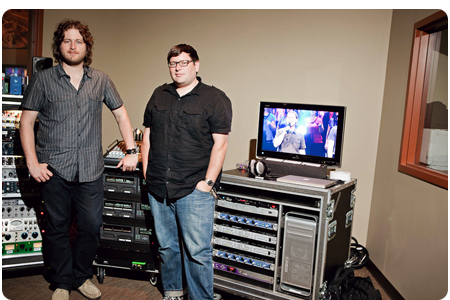 Movement Recording is comprised of Nashville music industry professionals Dylan Seals and Brent Hendrich. With 24 combined years of experience working together in studios and on stages they've garnered numerous recognitions from a Dove Award and multiple nominations, a Grammy Nomination and Emmy contributions. What makes Movement Recording different from other live recording companies is the unique and specialized talents of each individual coming together to enhance and strengthen all areas of the production process. Brent lends his production and engineering skills from countless studio albums to get more hands on with the artist and help oversee the big picture. His interaction with the client as well as the individual musicians, ensures the overall vision for the project is achieved in the most efficient and professional manner. Brent also contributes his in demand mixing skills to ensure that every Movement recording is completed in a way that fully retains the attention to detail that was obtained during the recording process. Dylan is an engineering and technical guru in the truest sense. With years of experience serving on staff in some of Tennessee's most media driven churches, he understands the challenges that present themselves while recording live worship events and knows how to overcome them. 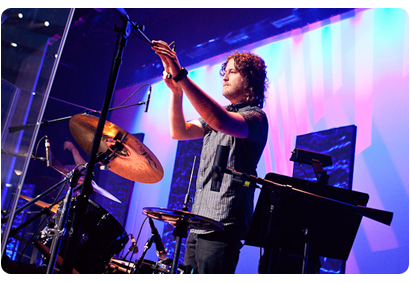 His passion for achieving pristine sounds using tried and true recording studio techniques along with a vast knowledge of interfacing with worship facilities makes him an essential part of the Movement sound and experience. "I have been using the services of Brent Hendrich for several years. 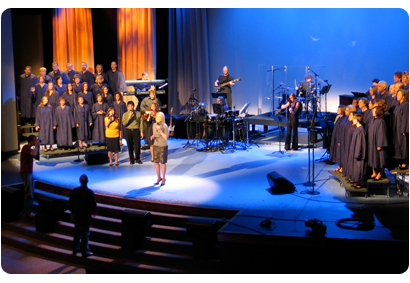 Our church, Faith Church of Sherman, Texas has several musical performances each year. These include Christmas and Easter Cantata's, Fourth of July Concerts and various GospelFest and Youth Concerts. It is not unusual for us to record sixty to eighty tracks of live music during each performance. Brent has done an outstanding job of taking these tracks and mixing them down to give us a very professional sound. It's apparent that Brent has a natural talent for his engineering work and takes great pride in what he does. I highly recommend Brent and look forward to again using his services in the near future." "Impressed! 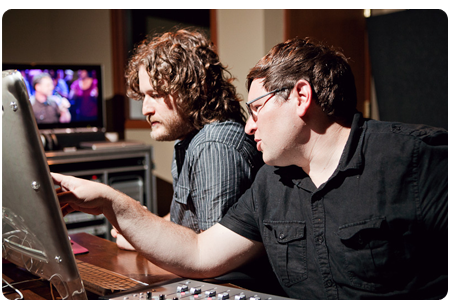 I have known Brent and Dylan for years before using them for our live record at Calvary Church so I wasn't surprised to at how well the recording turned out. These guys are super talented and very professional. What did surprise me was how they invested their collective talent to help me and my band create the sound that we wanted, I was impressed how they took the time to talk to each of my guys to help them achieve the unique sound they were looking for and to me that makes all the difference. Cause the truth is there are a lot of people who can record live music but few can listen, realize and capture the style you want to display. These guys will help you reach the artistic goals you want to reach." 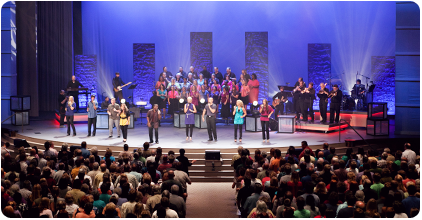 Not only do we provide the highest quality live recordings, Movement Recording also provides consultations and workshops geared towards worship ministries looking to improve the quality of their live sound and media content. 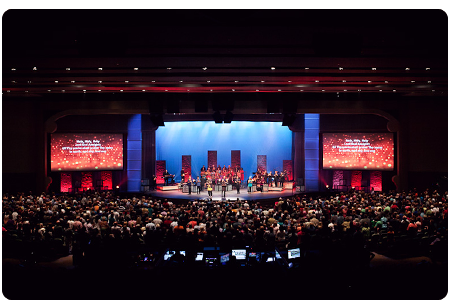 We will help you evaluate your existing sound and media installations but also spend time educating your team in a way that strengthens and enhances your overall worship experience in ways you never imagined. 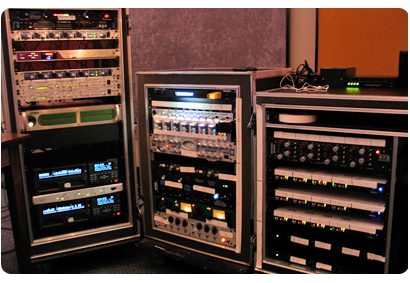 What type of recording gear will you be using? 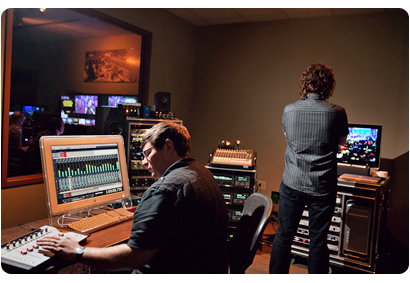 Movement Recording prides itself on using only the finest in pro audio gear. 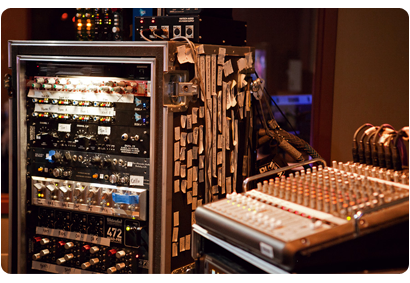 At all events we provide the most up to date recording technology found in the finest studios around the world: the finest class A preamps (Neve, Api, Grace, Millienia), high-definition digital conversion, studio grade microphones, Mogami cables, and a redundant backup system. We always recommend a specific stage layout with our intentional microphone choices and placement but we're always happy to work with clients who would prefer to leave certain portions of their existing setup intact. We can also provide a more streamlined recording process for clients that would prefer we interface with their existing digital consoles. Our primary goal is that the recording process is an easy and painless one! How far will Movement Recording travel? Not only do we deisre to be the most boutique recording service available but also the most mobile. We work in the most streamlined manner allowing us to deliver and setup in any venue worldwide. Depending on your location, it will determine how equipment is delivered to the project site as well as traveling cost. Personnel, equipment and musicians are based out of Nashville, TN. What does the typical Movement Recording cost? Every Movement Recording is unique and therefore is priced in a customized manner. There are many factors that determine the total cost of your project including the number of recording days, personnel, travel expenses, lodging, additional gear, rental instruments, mixing, mastering and the assistance of professional musicians. We have experience in working with churches and venues of all sizes and are willing to work within your budget. To receive a price assessment, please email us at info@movementrecording.com and we'll try our best to tailor a package that suites your specific needs!